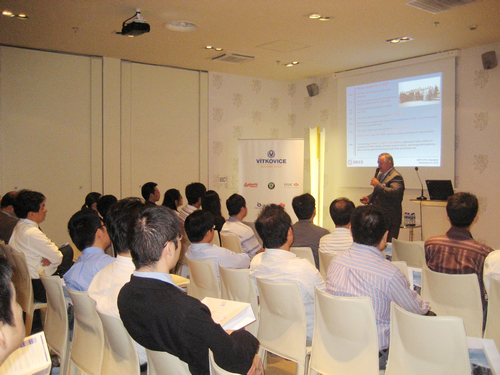 An anti-HIV seminar organized by the Institute of Organic Chemistry and Biochemistry (IOCB), Academy of Sciences of the Czech Republic (ASCR) was held in the Czech Pavilion on Sep. 23 at EXPO 2010.About 20 chemists from Shanghai Institute of Organic Chemistry (SIOC), Chinese Academy of Sciences (CAS) were invited to join this EXPO event. The scientists from SIOC and IOCB extensively discussed the topic on anti-virus drug research and international collaboration between two institutes. 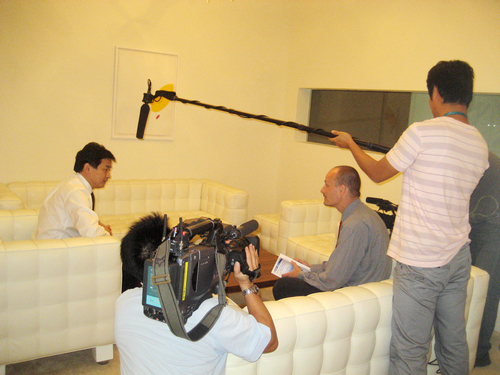 Prof. Kuiling DING, the director of SIOC, accepted an interview with Czech media on invitation. He also gave some comments on the contributions of IOCB and perspectives for the future collaboration between two institutes. Prof. Zdeněk Havlas, the director of IOCB, introduced the recent research achievements in the fields of antimicrobial drug R&D and anti-HIV drug research in IOCB. Havlas also showed the attendants a newly developed synthetic drug for anti-HIV by IOCB. A special theme in the exhibition of Czech pavilion is the demonstration of “Science for Life” with the successful example of anti-AIDS drug development.